To access the island, three different places serve as locks with each privileging a particular means of transport. The access of tourists is done through the airport in the north east, which valorizes the town of Houmet Essoug through its proximity. The traditional continental access is done by Jorf and Ajim via the ferry. The third opening is the road connecting Djerba to Zarzis since the beginning of the 1950s by means of the bridge, El Gantara, which took the place of a Roman roadway. 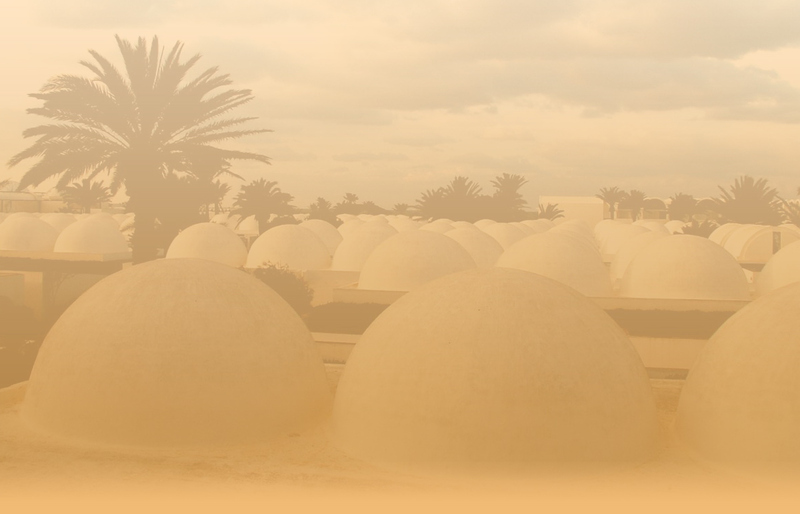 The museum is situated in the agglomeration of Houmet Essoug, on the road to the touristic zone. We can access it, once on the island, from the airport, the bus station, the Roman roadway, or the ferry. It can also be visited starting from the touristic zone.